I also have two pairs from last year that I love, in black and brown. They held up really well during the couple of months last fall/winter when I wore them at least once a week. Walgreens carries sizes S-XL, and I’ve also seen them in some fun textured prints. 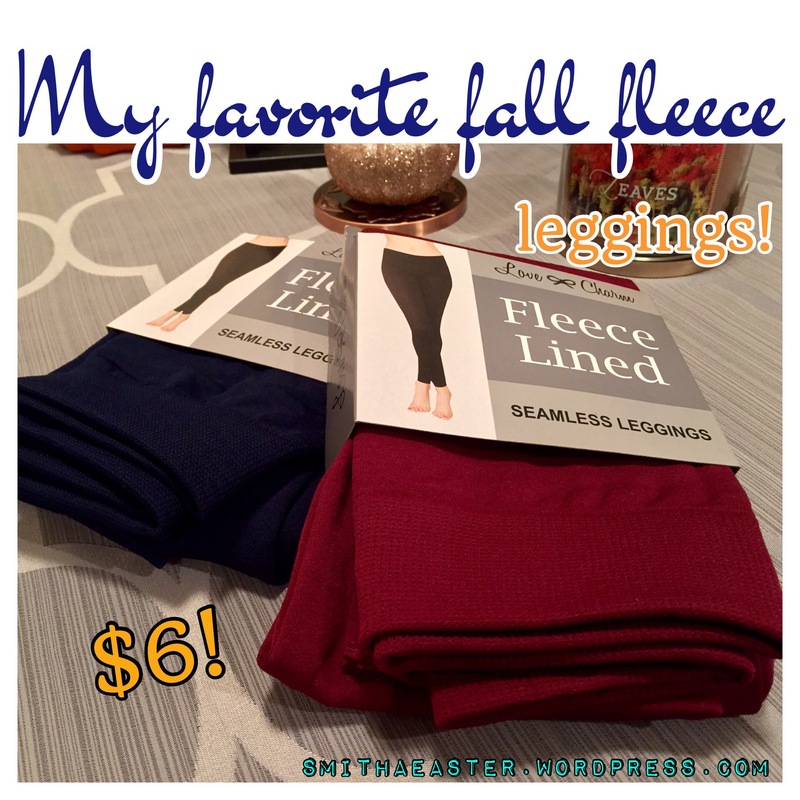 I love wearing mine with a longer flowy shirt or a dress, and they’re perfect for tucking into your favorite fall boots. If you’re like me and you love being comfy and cute on a budget, I think you’ll really love these like I do. Now I just wish it would hurry up and get cold outside over here!! ps- don’t forget to subscribe below to have future deals & steals delivered to you! Previous Ipsy September Glam Bag Review! Next Ipsy October Glam Bag Review + Bonus Ipsy Goodies! Girl, I love ur new post, u r awesome! Holy crap. This is an amazing tip. THANK YOU! I was gifted 2 black & 1 grey pairs last year. I just wore mine last week.. Love them! Love this! No Walgreens in my town but I will snag some when I see one next. Also don’t forget your favorite crochet boot cuffs to set those leggings and boots off this fall 😉 great find! !